SuperCharge Batteries has been a leader in the New Zealand battery market for 10 years and in Australia for over 30 years. We have gone from strength to strength by a commitment to providing superior car, 4WD, and marine battery units at competitive prices, with consistently exceptional customer service. Across New Zealand and Australia, you can count on us to provide you with market-leading technology. 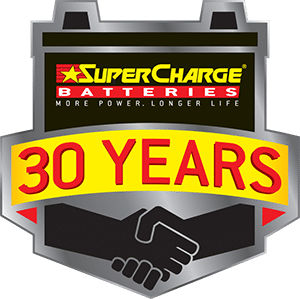 Whether you need a battery for your car, or a heavy duty, vibration resistant marine battery, you’ll get best-in-class products and service from SuperCharge. For more information, contact us online or call us in New Zealand on 0800 188 122 or Australia on 1300 228 837.